Home / Personal / Committed Relationships: What, Why and How? Committed Relationships: What, Why and How? Solid and fulfilling personal relationships always rely on mutual commitment. Committed relationship is a happy relationship. You and your partner are required to meet each other halfway on your road to happiness. Making a commitment in relationship requires you to be responsible, caring, understanding, supportive, and open. You should also behave in an honest way. Read the following guide to answer the question what is a committed relationship. Commitment in a relationship relies on trust more than on anything else. You should always be honest with your partner. You should avoid lies of any kind. Under no circumstances, you should lie to your partner because all lies are sooner or later become revealed. You should always be honest with your partner because honesty makes relationship more solid. When one of the partners has secrets or lies he deprives the other one of truth. This kind of action goes at odds with the virtues of love, openness, support and understanding. Building trust is a continuous process. You can make commitment in a relationship by being honest constantly. Always tell your partner what is on your mind because this way your partner will know that you value him/her. Telling the truth and staying open must become your prerogative even if she caught you dating girls outside a relationship. Otherwise, you risk ruining the relationship because lies of any kind have a toxic effect on peace, love and unity. Serious long-term relationships are built on mutual respect. You cannot love your partner and disrespect him/her at the same time. In many ways love comes with respect or vice versa. One thing is certain, though, and that is the fact that you can’t love somebody without being respectful. You should honor your partner’s thoughts, actions, opinions, tastes and views. For example, you may disrespect somebody else for not liking domestic animals or eating junk food. But in case your partner does it and you don’t like it, you should accept this fact and make peace with it. You need to express care, provide support, and be understanding when you approach your partner. Making a commitment consists of always being there for your loved one when times are bad and when they’re good. People form relationships so they could have somebody to care about. You too want to be taken care of. Therefore, you should approach your partner in a way that you yourself want to be approached. 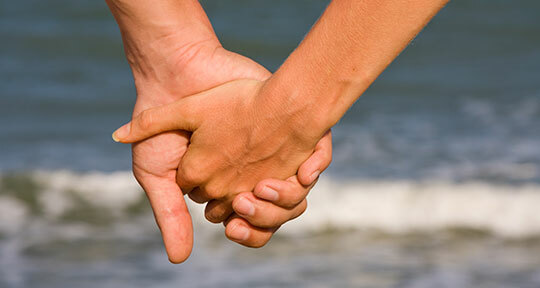 Life may be difficult at time but with mutual support you and your partner can effectively face all the challenges. Mutual understanding means always being ready to feel what your partner feels and be sympathetic. Establishing close contact and communicating effectively is the best way to know what does it mean to be committed in a relationship. Effective communication depends on your ability to express yourself as clearly as possible. You can establish communicating channels effectively by being open to your partner. You should listen carefully and pay attention to what your partner has to say. You should also tell partner about your feelings, emotions, and thoughts. This way you will prove to your partner that you value their opinion, support, and care. Never avoid or interrupt your partner because it is the expression of disrespect. Try maintaining a delicate balance between talking and listening. You should avoid talking about yourself all the time. Keep in mind to share your emotions and speak when you think you have something useful, wise, and kind to say. Let your partner speak her mind. Be sympathetic and understanding because your partner needs your support and care. All in all, now you know what it is to make a commitment in relationships. If you want to succeed, you need to communicate effectively, care about your partner, and be honest. Good luck!